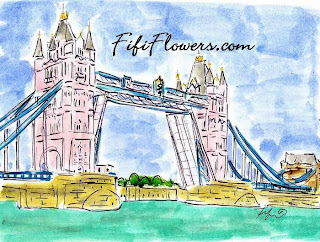 What do you give your friend when she names her baby girl "LONDON"... You PAINT a PINK Bridge in London for her baby of course!!!! J'adore giving UNIQUE gifts... I hope that London Grace will treasure this painting all her life! 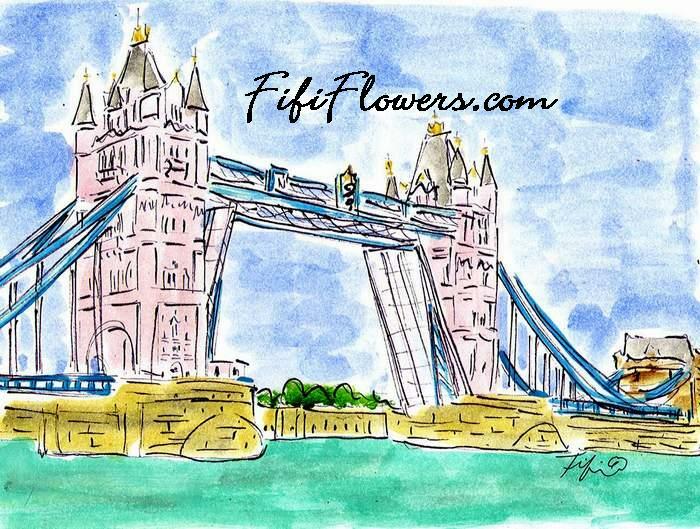 Oui oui oui... the Pink Bridge in London is available as a frameable 5" x 7" notecard in my shop!! !